Currently my research is focused on pollinator communities in the eastern Washington and northern Idaho region. 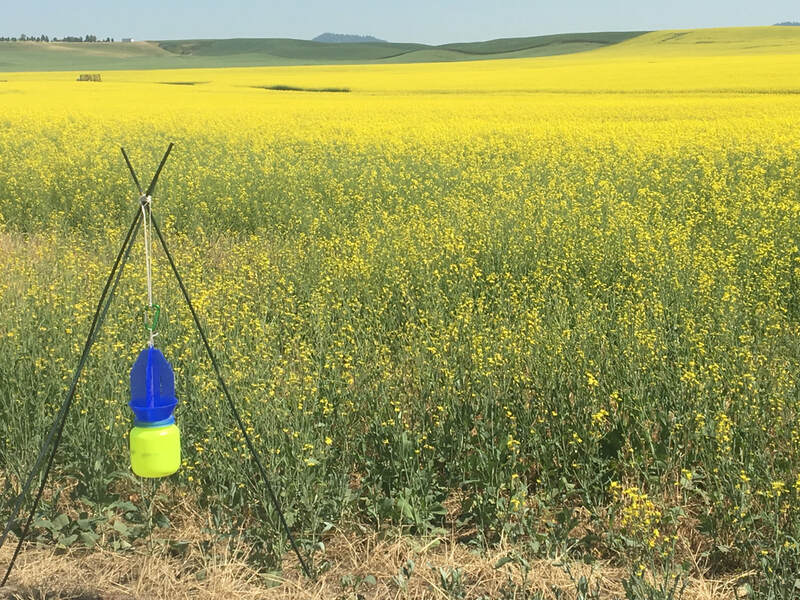 I measure the environmental effects on a variety of floral traits that may be driving pollinator visitations. This work is done both in field and in greenhouse settings to derive a clear understanding of how the shifting landscape might play a role in the community of pollinators at a given location. This work is funded by the USDA Predoctoral Fellowship# 2017-05532. Previous work has looked at the non-bee pollinating insects of small, diversified farming systems on an urban gradient. I found that flies were major contributors to the pollination of several crops. This work is currently in preparation for publication, and was funded by Western SARE Graduate Student Grant #GW16-033.